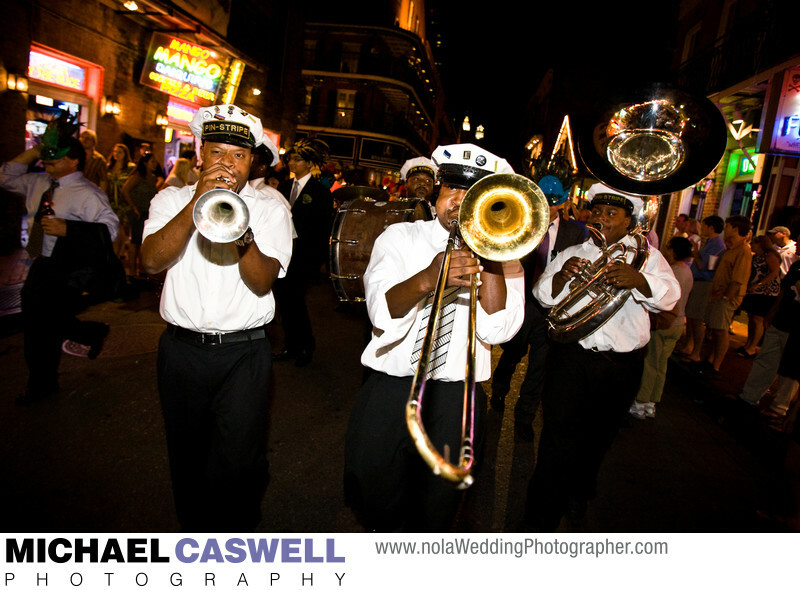 The fabulous Pin-Stripe Brass Band leads a crowd of wedding guests down Bourbon Street in the French Quarter. This New Orleans tradition is a wonderful way to end a reception, and is a particularly nice treat for out of town guests who have only seen such things in TV shows and movies. But the right musicians are an essential element to ensuring a lively parade, and this band is among the best! Other great choices are the Algiers Brass Band and the Kinfolk Brass Band.